By Brian Voo in Social Media. Updated on January 24, 2019 . Regardless of whether you are in business, trying to put your startup on the map, new to the working world or focus mostly on non-profit work, LinkedIn is a very good networking tool to help you achieve your professional goals. A hunting ground for headhunters, HR managers and new businesses looking for partners or opportunities, it will do you good to have a professional LinkedIn profile set up, to let you take advantage of this. Unlike on Facebook, where profiles could be made up and are more suitable for personal networking rather than a professional one, LinkedIn encourages users to provide a highly professional look to their resume and/or profile on the networking site. Here are 10 things you can do to enhance your LinkedIn profile for a more professional look. A LinkedIn profile is similar to a work resume, where you display your past education information, work experience, skills, current work position and profile picture. 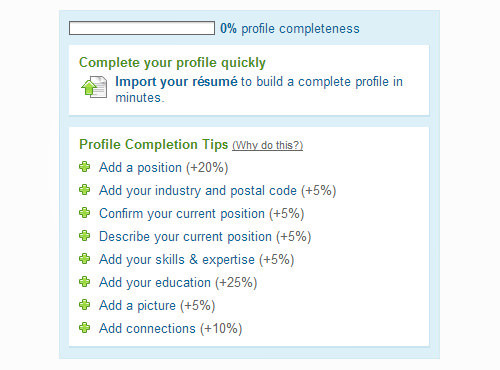 You can follow LinkedIn’s Profile Completion Tips when editing your profile. Besides that, adding a profile headline and summary would be real helpful to make an impression. The headline gives yourself a professional ‘identity’, a front that may or may not showcase some of the more detailed parts of your profile, hidden away from viewers who are not connected to you. A summary would bring out your personality which can complement your Curriculum Vitae (CV) if an employer were to view your profile. It’s also important to use keywords in your headline, summary and throughout your entire profile. The keywords could consist of your main passion or profession and will help your LinkedIn profile turn up more often on search engine results. If you’ve had LinkedIn for a while and have already connected with people, updating your profile will fill their feed and your ‘Wall’ with update notices. This means that if you happen to choose to update your LinkedIn with ‘old details’, for instance, if you are finally coming out as the HR manager that you are, your connections will think that you’ve only gotten the job recently. By turning off your activity broadcast temporarily, you can silently update your LinkedIn profile without letting the world know. Click on that and another overlay window will appear allowing you to uncheck the option. After saving these changes, other users won’t be able to see every detailed profile update you’ve made. You can choose to leave it off or turn it on after you’re done editing. Just like any other thing used in the professional world, you wouldn’t want your LinkedIn profile to have any sort of grammatical or spelling errors. You should also word your profile summary and important information effectively so that it is communicated to the reader without confusing them (something learnt from communication school). Try putting yourself in the eyes of the reader and see if you understand what your profile is about. It may also be helpful to have someone screen through your profile for a second opinion or to point out any errors that you may have missed out. Basically, treat it like how you would treat a job resume. We don’t want to sound like your mother, but lying is not tolerated in the professional world, especially when you can easily get caught. This is also true for information on your LinkedIn profile with details like your education and job history. Not only is it very easy to check and confirm just about anything on the Internet, it is also a sign of how ethical (or non-ethical) you are. Appearing untrustworthy is never good for business. 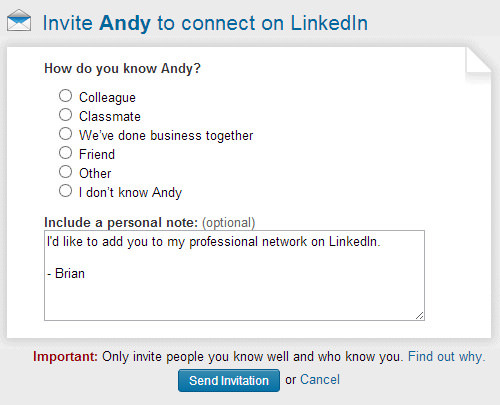 By default, your LinkedIn profile URL will consist of random alphanumerical characters. However, you can elect to have a customized profile URL by going to Settings > Edit Public Profile > Customize Your Public Profile URL. Pick the name you would like to display on your vanity URL. Your profile URL will bear your name, something like ‘linkedin.com/in/JackDoe’. You can even take it a step further by making sure that your vanity URL for LinkedIn, Facebook and Google Plus are all the same, for added coverage. If you wouldn’t have an Instagram-style photo or a picture of your cat doing something fitted on your resume, don’t put that as your profile photo on your LinkedIn account either. While you can have fun and go crazy with your Facebook Timeline covers or Google Plus covers, it’s probably good to tone things down a bit and think through how you want to portray yourself to your potential clients. Having a high-quality, recent profile picture of yourself, that appropriately describes your role in your industry will be the safest bet. 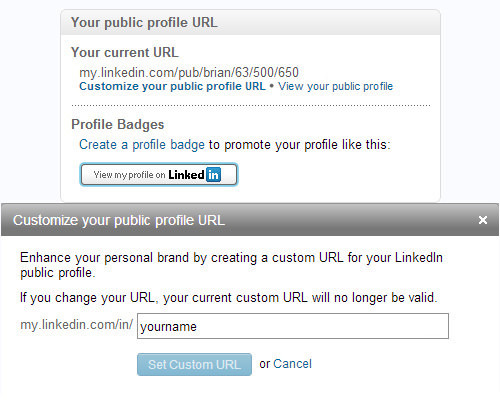 LinkedIn has a few different designs of profile badges that can help you promote your LinkedIn profile to the world. To find these badges, go to ‘Settings’ and then click on the link to ‘Edit your public profile’. To the right, you will see ‘Profile Badges’. Clicking on ‘Create a profile badge‘ will bring you to another page where you can choose from the many designs available. You can use the HTML codes of these badges to use on your blog, website or other forums that you frequently use. 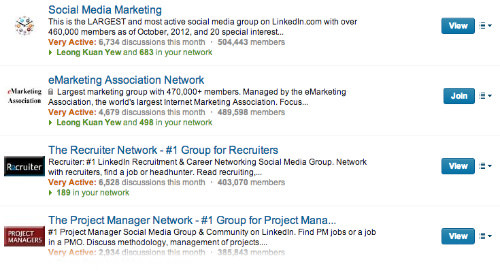 When users click on these badges, they’ll be automatically directed to your LinkedIn profile. Groups on LinkedIn is a place for members to share and participate in a professional setting in a specific industry or area of interests. There are plenty of groups for job seekers your university alumni, specific professions and a variety of associations from all over the world. Being actively involved in these groups could lead you to make new connections and maybe land a new job, especially since job listings are a common sight in these groups. When trying to make a connection with a fellow professional, you have to send them an email request. The request is already standardized but it’s always a good idea to personalize the notes. The receiver would at least get an idea of who you are and if you are up to it, you can even cut to the chase and suggest a business meeting with the person. LinkedIn has applications which you can add to your profile to enhance your profile in different ways. For instance if your profession is a full-time blogger, than you might want to add the WordPress app to your profile which lets you sync blog posts with your LinkedIn profile. If you make or edit great videos and want to show it off on your profile, you could use the SlideShare or Box.net app that enables you to embed videos in your profile. A great way to get connected with clients or people you’re working with is to add your LinkedIn profile link to your work signature. This indirectly increases the exposure to your LinkedIn profile, helping you to make connections, even when you aren’t actively doing so. 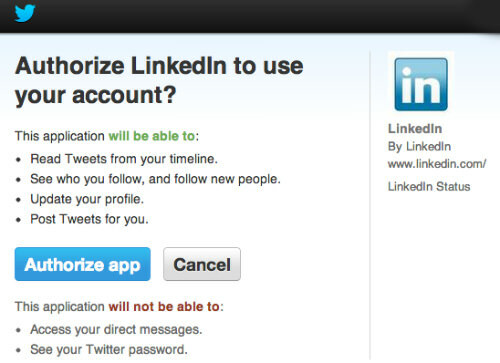 Under your LinkedIn profile Settings, you can choose to connect your account with Twitter where you can either display Tweets on your LinkedIn profile, or share LinkedIn posts on Twitter. If you want to display only certain Tweets with your connections on LinkedIn, you can use the #in hashtag on your Tweets where only those with that hashtag will be displayed on your LinkedIn profile.